Leaf Storm Press, 9780997020700, 332pp. "No one has ever written about the pains of being a teenager-physically and psychologically, inside and out-quite like Robert Wilder in his startling debut novel. 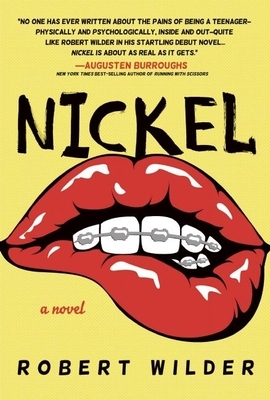 He has created indelible characters in Monroe and Coy-funny and sad and strong and broken-and NICKEL is about as real as it gets. Robert Wilder is the author of two critically acclaimed essay collections, Tales From The Teachers' Lounge and Daddy Needs A Drink, both published by Delacorte Press. A teacher for more than twenty-five years, he has earned numerous awards and fellowships, including the inaugural Innovations in Reading Prize by the National Book Foundation. He has published essays in Newsweek, Details, Salon, Parenting, Creative Nonfiction, plus numerous anthologies and has been a commentator for NPR's Morning Edition. Wilder lives in Santa Fe, NM.